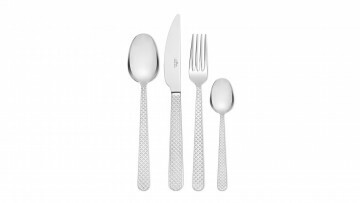 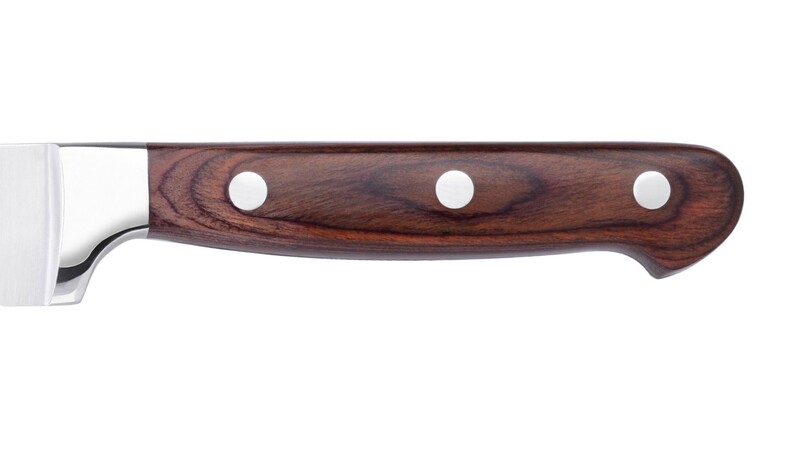 The pakka handle, designed to provide maximum durability, is a distinctive feature of the 961A Provence series. 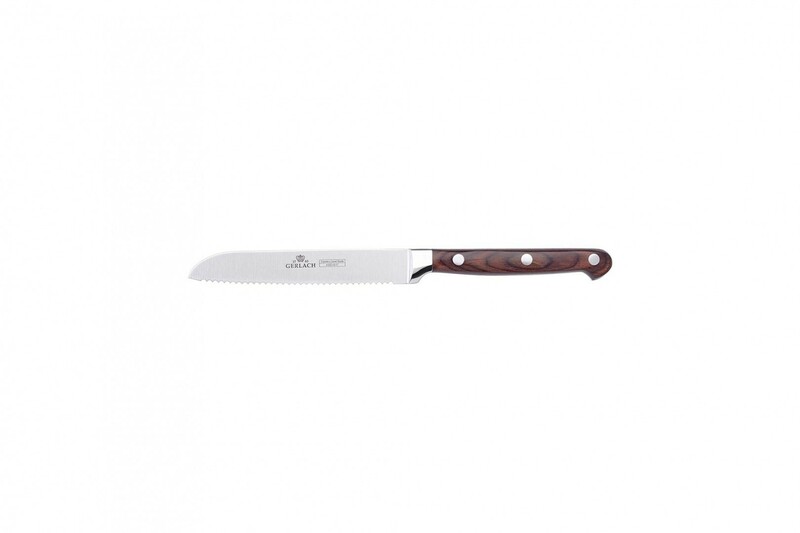 Reliable and precise in chopping vegetables, meat or even nuts, the blades of the Provence Knives were made from high quality steel. 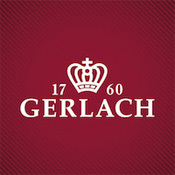 The elegant and beautiful beechwood block will become an integral part of cosy and warm and also modern kitchens alike. 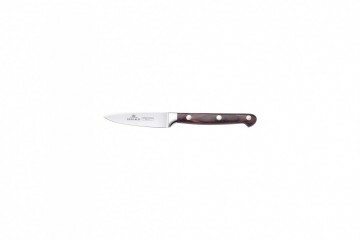 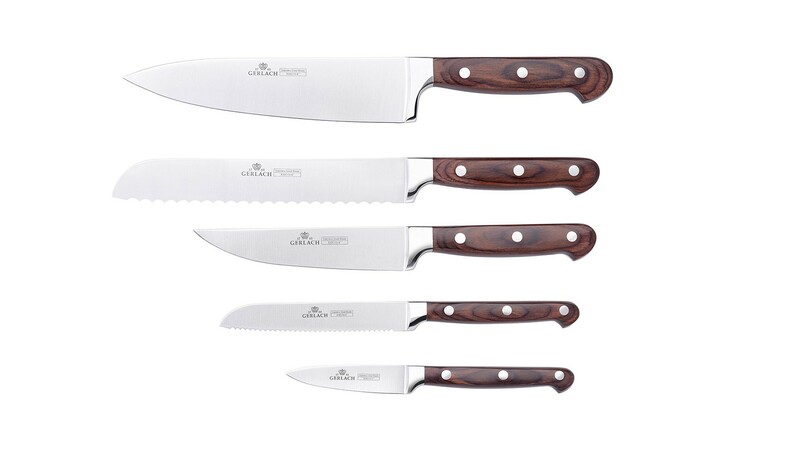 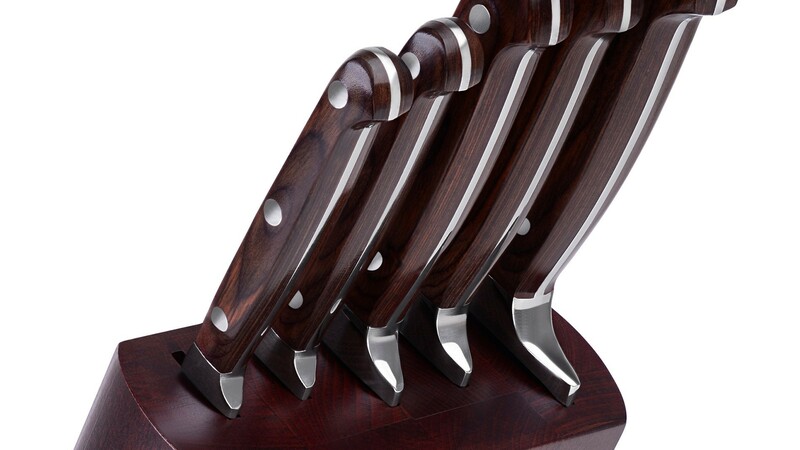 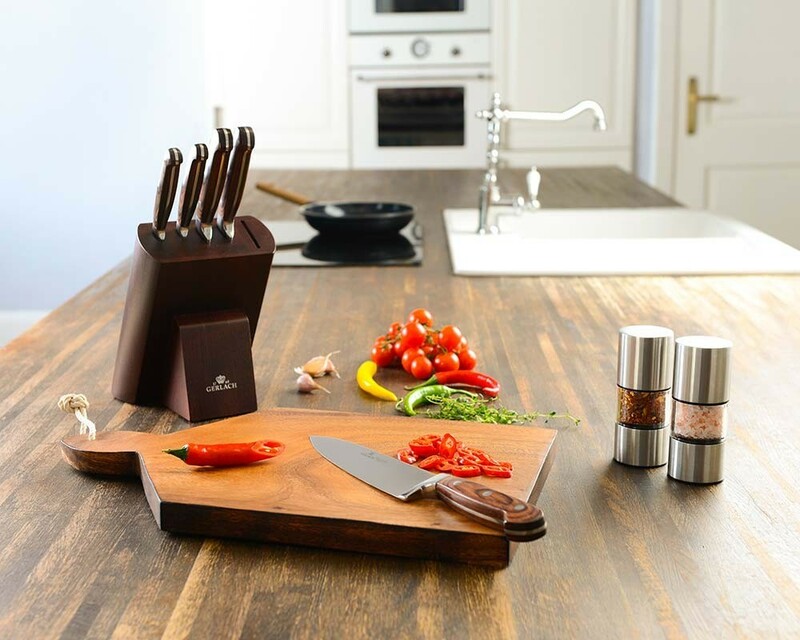 The sharp, perfectly balanced Provence Knives are convenient to use thanks to their elegant pakkawood handles. Pakkawood is high quality plywood made from pieces of exotic wood. 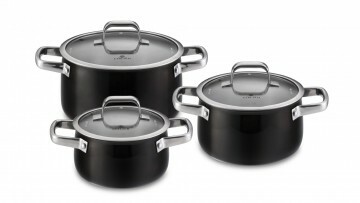 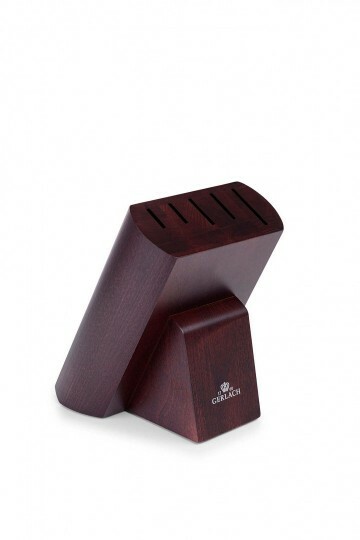 It is extremely hard, as well as resistant to moisture and deformation. 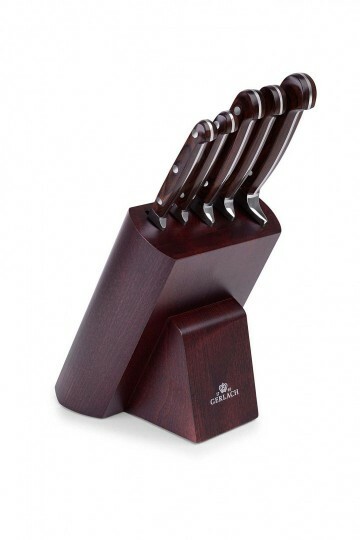 This stylish Knife Block Set is available with its typical varnished beechwood side combining its superb utility of storing sharp cutlery with a magnificent wooden finish. The Provence series comprises five functional knives, each designed for a different task, depending on the size and finish of a particular knife. 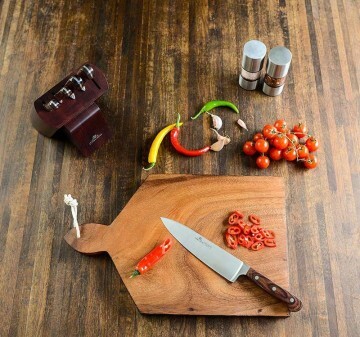 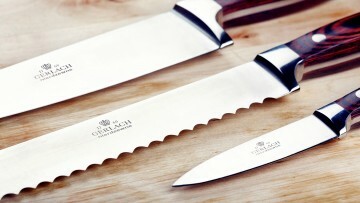 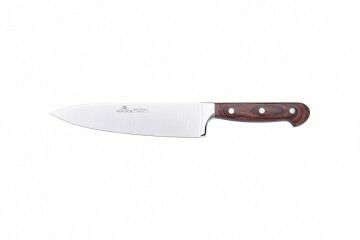 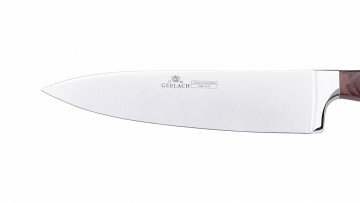 8” Chef Knife – a basic, multi-purpose kitchen tool. 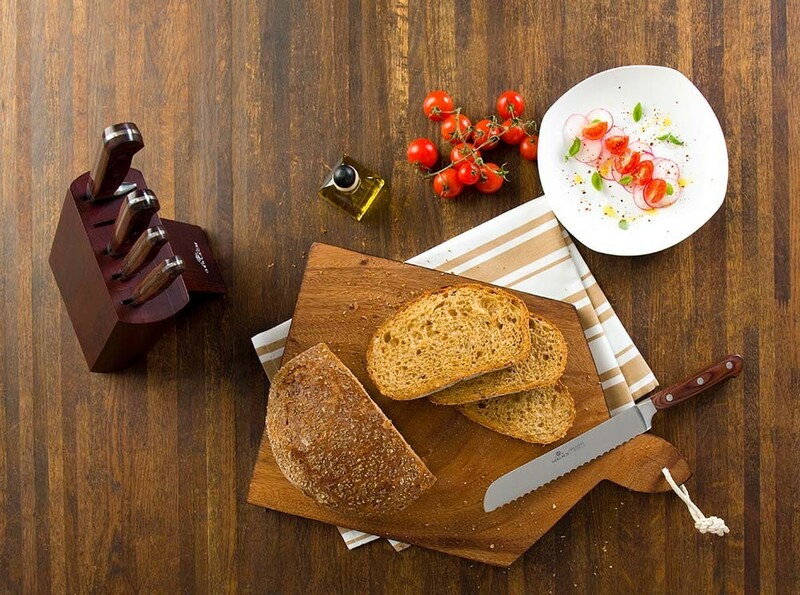 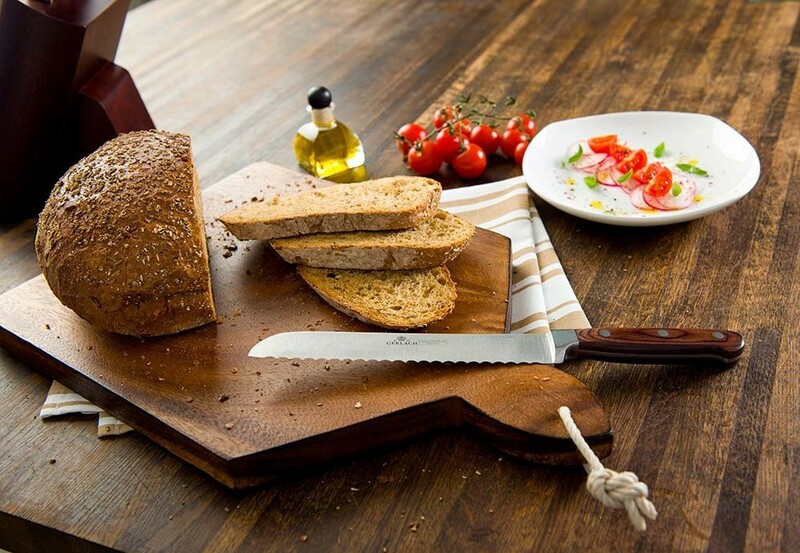 8” Bread Knife – with a serrated blade to cut through bread easily. 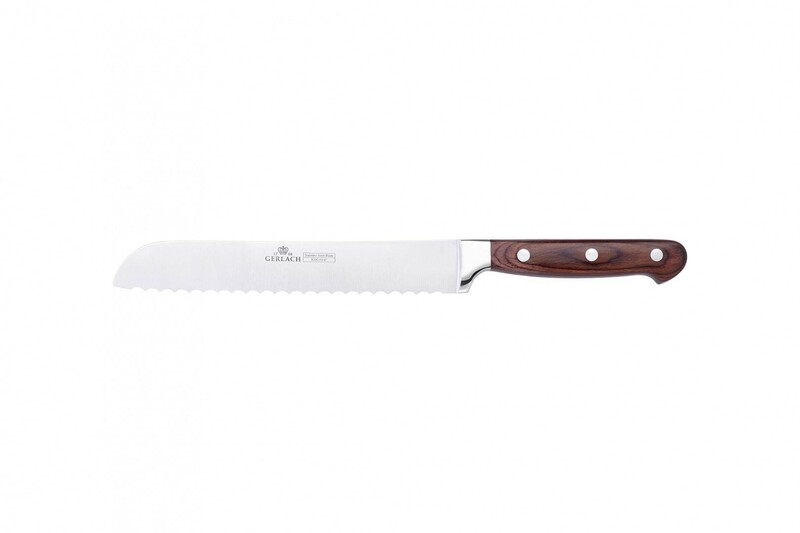 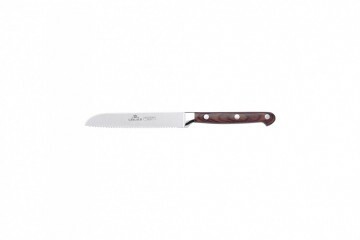 6” Utility Knife – a universal tool, best for slicing cold cuts and chopping meat. 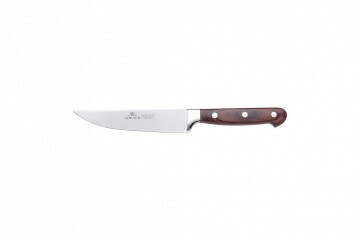 5” Tomato Knife – with a special serrated knife to slice tomatoes without tearing the skin. 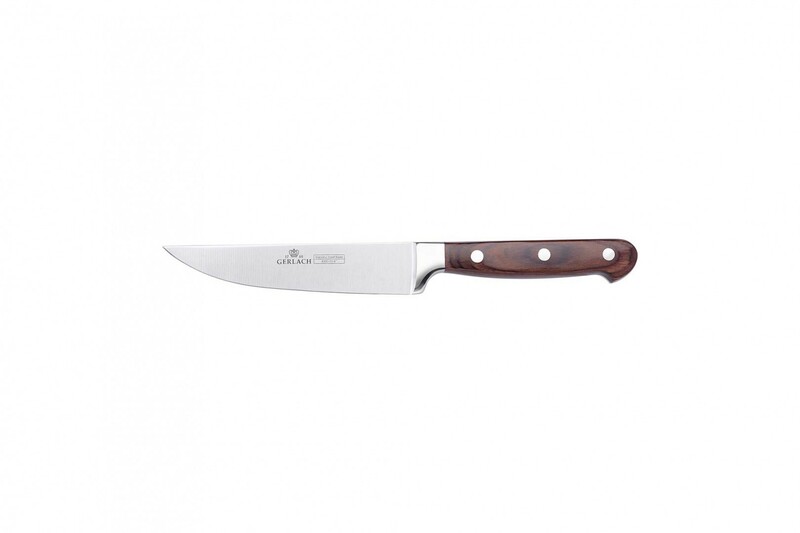 3” Vegetable Knife – a good alternative to a traditional peeler.